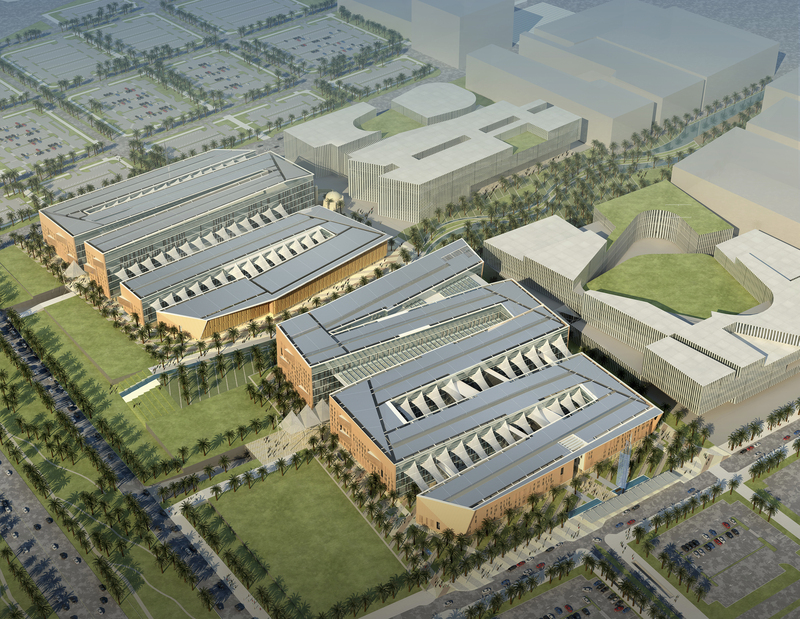 Gulf Consult in joint venture with Cambridge Seven Associates, Inc. of Boston have been commissioned by the Kuwait University Construction Program to undertake the Study, Design and Construction Supervision of the College of Engineering and Petroleum at the new Sabah Al-Salem University City Campus. The college has been designed to house the following departments:. The Architectural Concept and Preliminary Design has been carried out by Cambridge Seven Associates, while Gulf Consult has responsibility for all detailed Architectural and Engineering Design, Cost Control and Tender Documentation. Specialist laboratory advice provided by Earl Walls Associates.